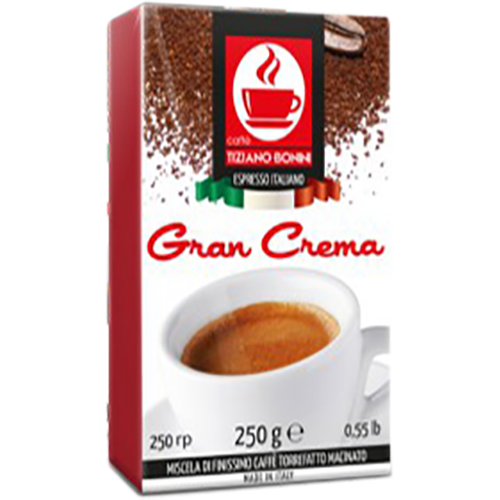 Caffè Bonini Gran Crema ground coffee was created to meet the needs of everyone who loves traditional café-coffee but prefer to enjoy it at home. This espresso, characterized by a marked cream, has a full and rich flavor. Hints of cocoa, milk and hazelnut are the most prominent flavors of this Italian espresso.